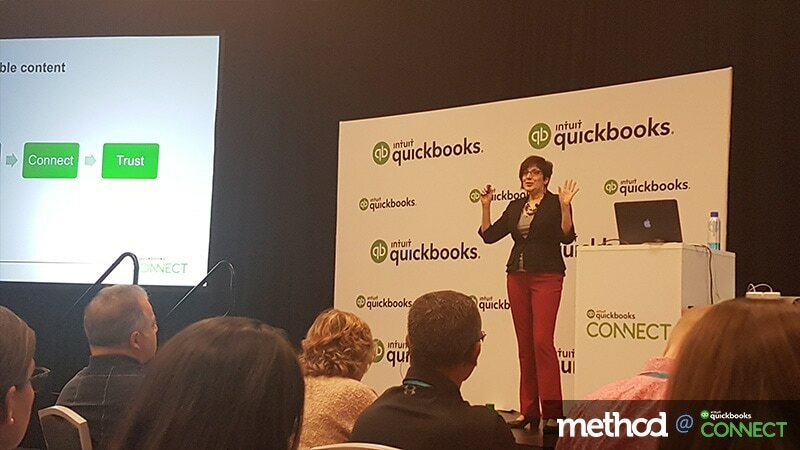 “Who here has a love-hate relationship with social media?” Veronica Wasek asked accounting professionals at QuickBooks Connect. Plenty of hands went up around the room. The truth is that many small business owners and employees receive conflicting messages about how to use social media and its importance in modern marketing efforts. The social media landscape has also changed significantly in a short period of time. Back when Wasek started her firm, VM Wasek CPA, LLC, in 2010, no one used Facebook for business marketing — the platform was strictly for personal connections with your “real” family and friends. Today, it’s just one of several social platforms that are heavily used by businesses of all sizes. While social media marketing might seem intimidating, Wasek believes it is a powerful tool for all modern accountants and bookkeepers: “I have grown my business entirely through online sources.” Her goal for the session was to take the guesswork out of social media by covering her seven tried-and-true strategies for engaging new clients online. Knowing your audience is absolutely essential to engaging them through your social media endeavors. You have to know exactly who your ideal customer is because the goal isn’t necessarily to reach a lot of people – it’s to reach the right people. “Be intentional about the types of clients you choose to work with,” advised Wasek. The clients you’re aiming for are the ones who will value you and pay a premium for the work that you do. Build a profile of your ideal client — Wasek likened it to the exercise of listing your ideal qualities in a mate. Where are they located? What industry are they in? How large is their business? These clues will help you craft the messages you’ll post on social media. How can you meet their specific needs? Chances are, you’re not the only one targeting a certain group of clients. This means you need to look at where you fit in the market — and determine what makes your firm stand out from the others. “If you don’t stand out from the competition, all you can compete on is price,” said Wasek. However, your ideal client is looking for more than just a discount. They want to make a personal connection with you; they want to work with a real person. Social media gives you an outlet to showcase who you are as a person and a company, thereby allowing you to make an authentic emotional connection. Avoid solely sharing sales information or promoting your services on your social media channels. Instead, take the opportunity to tell your story and your employees’ stories in a fun and unique way. Wasek encouraged the audience to think about the aspects of their “normal” lives that they could bring into their businesses: Who are you? What are you passionate about? What are your interests? Use headshots instead of logo images. Your logo is an important part of your branding, but no one wants to work with a logo. Let potential clients see the real person behind the company. Share behind-the-scenes photos of your team. 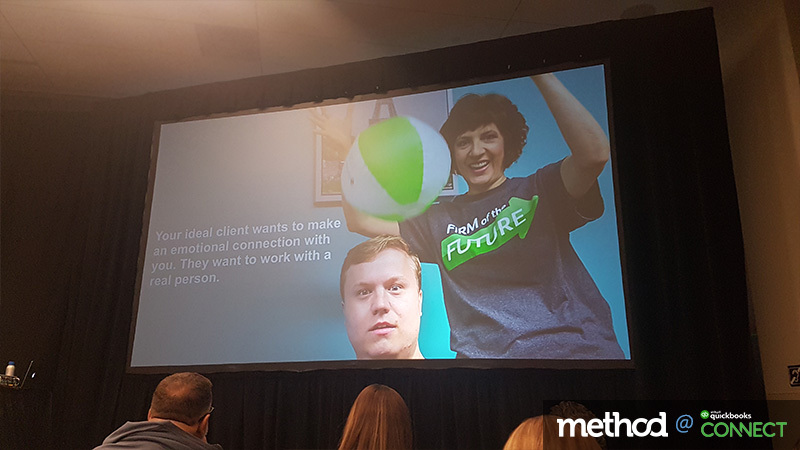 These are super effective because people love to see the personalities of the professionals they’ll be working with. Hire a photographer and devote a few hours to capturing what life really looks like in your office. Share videos. Videos are another highly effective way to connect with your audience because they help clients determine if they would enjoy working with you. You can produce scripted videos for a more polished performance, or share more casual peeks into your everyday office life or big events. In order to cut through the noise on social media, you need a reason for people to pay attention to you. Take stock of your “superpowers.” Do you have extensive knowledge in certain areas? Do you specialize in a particular niche that no one else covers? Also consider any special credentials you have, including awards, honors, and accolades. This is where you need to stop being humble and make sure that you publicize your strengths. “If there’s ever an opportunity for an award — I nominate myself,” explained Wasek. You can increase your “trust” factor by highlighting your expertise on your social media profiles. Producing content is another great way to demonstrate your authority in the industry. This might include blogging, writing guest posts for industry blogs, creating video content for YouTube, producing ebooks — whatever plays to your strengths. You should also make sure that your LinkedIn profile and Find-a-ProAdvisor listing are up-to-date and that they highlight your credentials. Remember, your ideal clients will pay premium prices to work with a trusted expert. What if one social media post led you to find some of your biggest clients? “It can happen — it happened to me,” said Wasek. She went on to tell the audience how her LinkedIn activity led to two referrals that ultimately netted $200,000. But before you can get the valuable referrals, you need to establish connections. Your goal is to use social media to build relationships with as many people as possible. 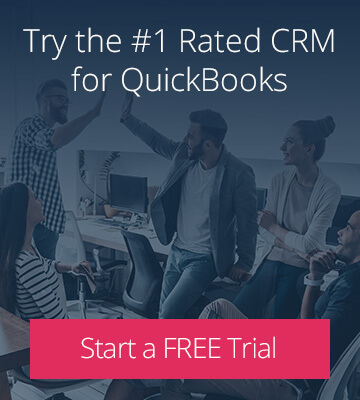 Look for industry and niche influencers, other trusted advisors (including accountants, bookkeepers, consultants, and attorneys), and prospects who fit your ideal client profile. All the while, you’re aiming to increase your “know”, “like” and “trust” factors. Content really is king. Wasek explained that by sharing valuable, informative content with your ideal clients, you help them move beyond the searching stage and into the engaging, connecting, and trusting stages. Of course, it’s not just about putting out any old content — you need a strategy. You already know your audience and what their biggest needs are, so your next step is to come up with content topics that address those needs. 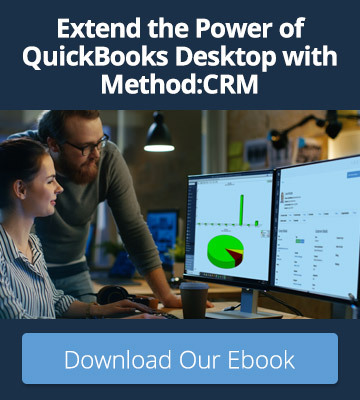 These topics will often be based on the questions that clients ask you — for instance, how to do something in QuickBooks. Wasek also recommends looking at what types of things people are searching for on Google or what offerings Intuit is currently promoting. There are many different platforms where content can be shared, including YouTube, Facebook, Twitter, LinkedIn Publishing, or your personal blog or podcast. But you don’t have to do it all! Instead, focus on your strengths and put effort into creating unique content that resonates with your audience. If social media has taught us anything, it’s that people want to be part of a community. “I didn’t realize that until I started a Facebook group,” said Wasek. Wasek strongly recommends Facebook groups as the best way to connect with like-minded people online. You can join groups for accountants and bookkeepers or for specific industries or apps. You can also establish your own groups to mark yourself as an expert in your field and generate referrals. Regardless of which groups you’re in, aim to start conversations, build relationships, give value, and learn from others. The more communities you’re involved in, the more you can build your network and grow your social media audience. At the end of the day, you want your social media strategies to help you turn prospects into clients. This means you need to master the art of the CTA, or call-to-action. Your CTA is the action you want a prospect to take when they visit your pages; this prompt should be included wherever you share your content. For example, you might ask prospects to learn more about your services, join your mailing list, or book a discovery call. The idea behind a CTA is to keep the conversation going and guide your audience through the next stage of your sales funnel. Wasek ended her session by encouraging the audience to join her own Facebook group — a real-life call-to-action that reinforced just how powerful these seven social media strategies can be.